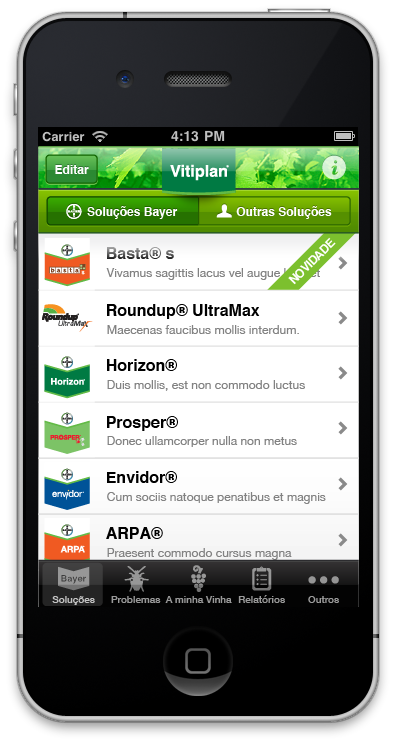 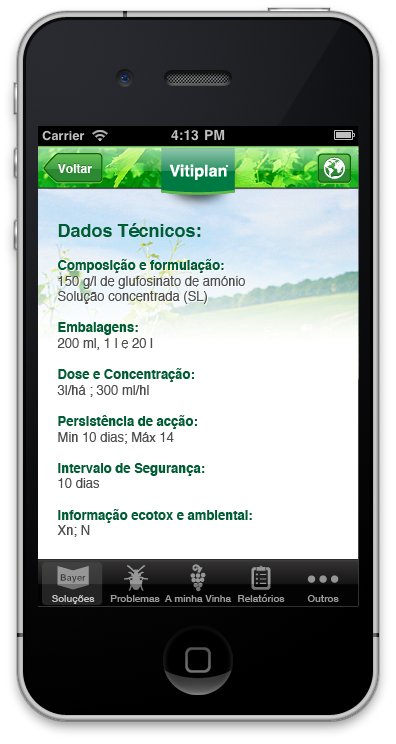 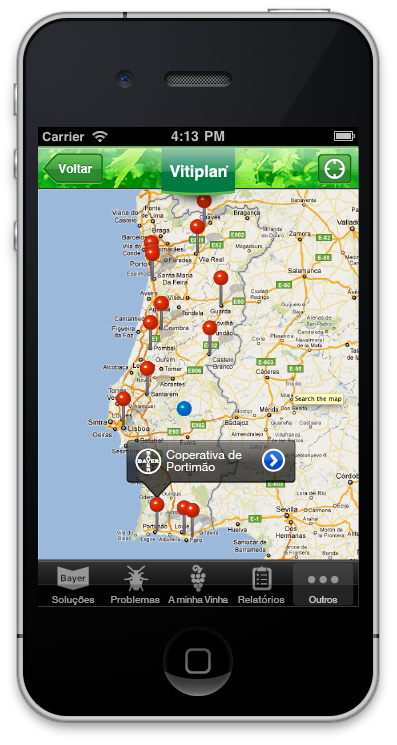 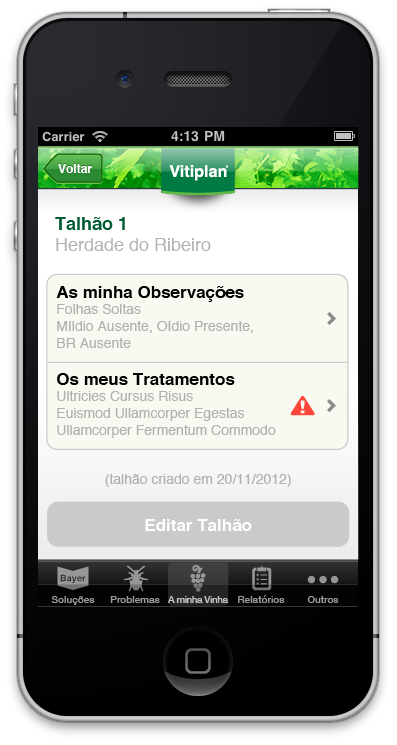 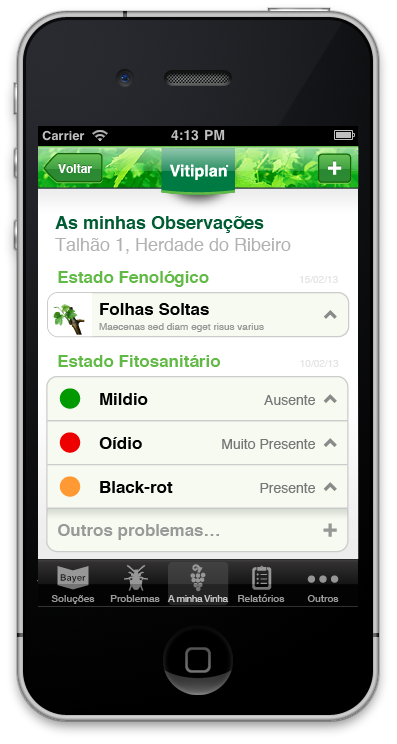 iOS app for Bayer® CropScience™. 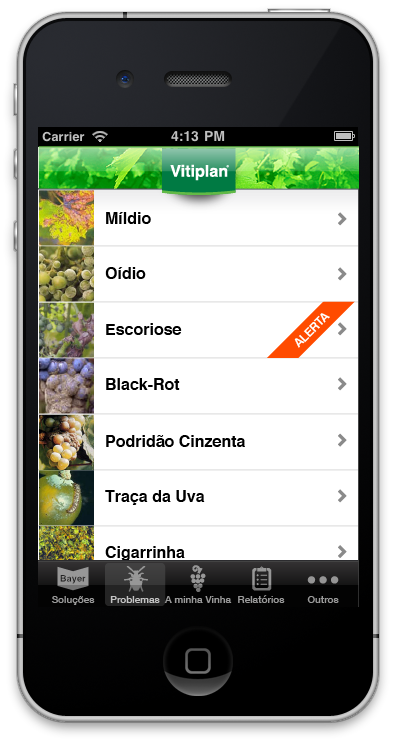 Utility app for managing vine crops. 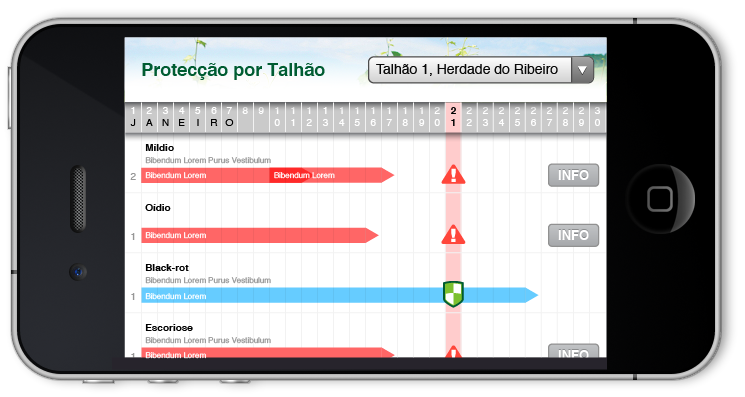 An app designed and developed in Portugal. 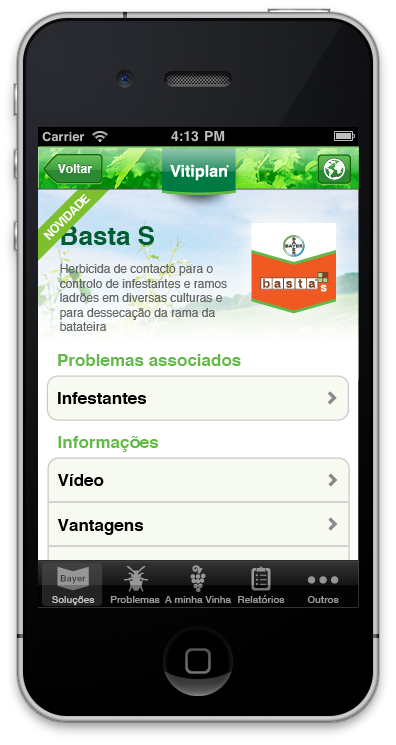 A case study inside international Bayer®! 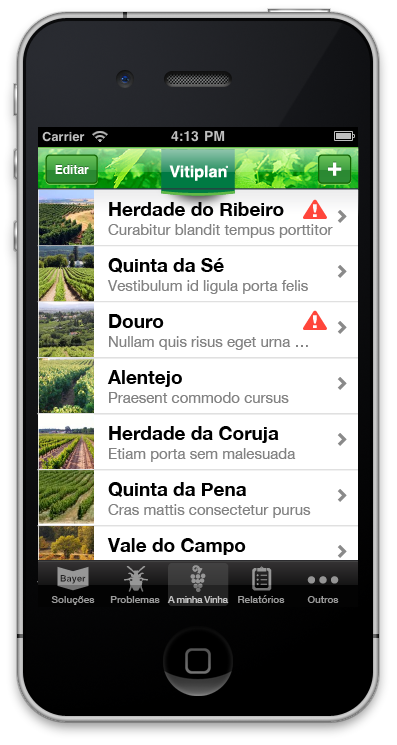 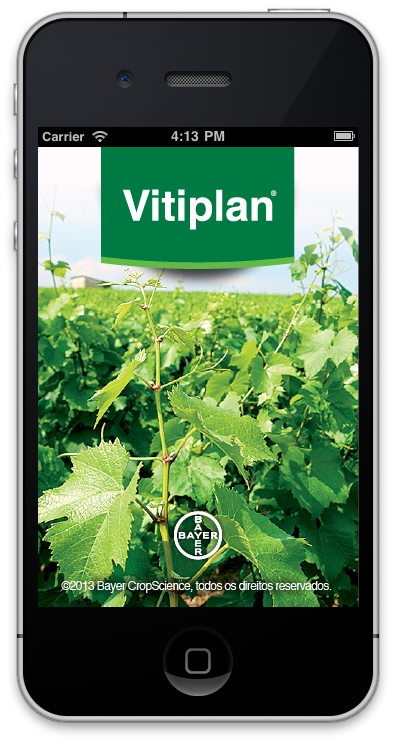 Vitiplan™ is a new iPhone application developed for Bayer® Cropscience Porugal, allowing growers and viticultural technicians to manage the phytosanitary treatments and observations in their vineyards . 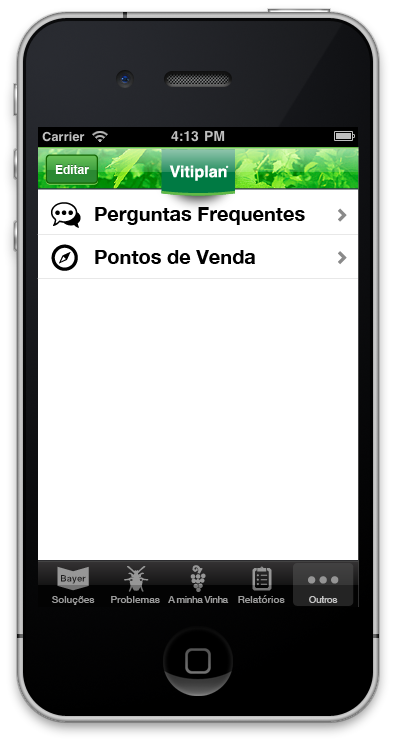 It is an native application, so the majority of functions do not require internet access. 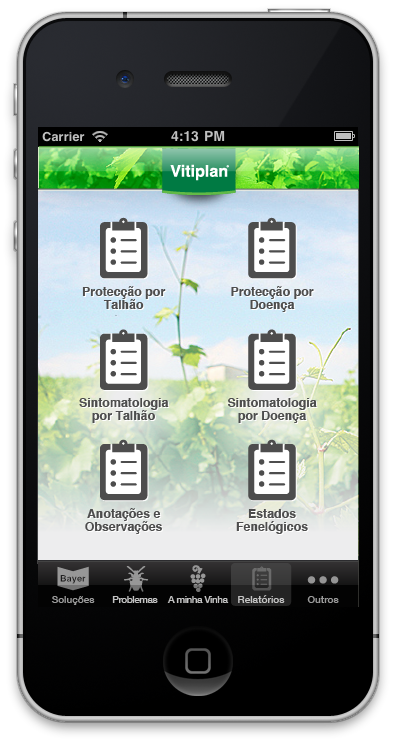 Vitiplan™ has comprehensive information on the key issues of the vineyard, which will help you identify and understand the diseases and pests. 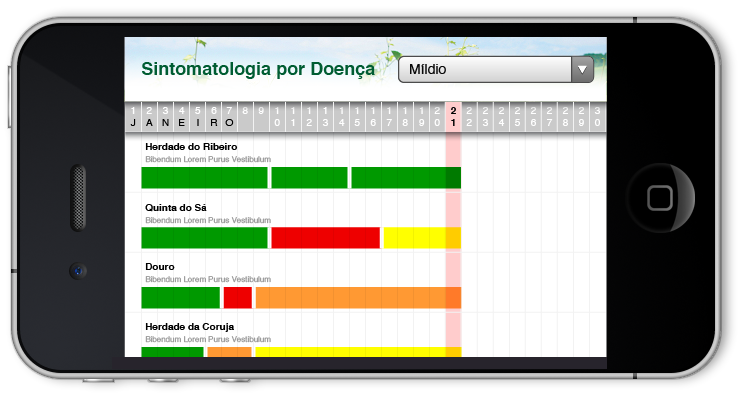 Different sections discuss the symptoms, biology, damage, ways of dealing with various reputed educational videos of Researchers and Teachers . 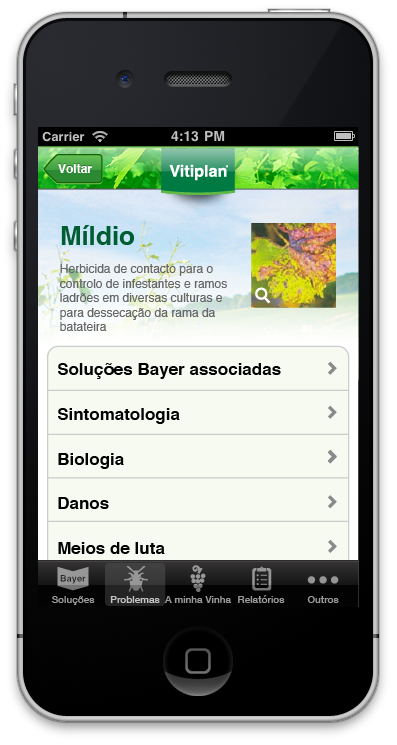 You can also find information on the phytosanitary solutions from Bayer® CropScience. 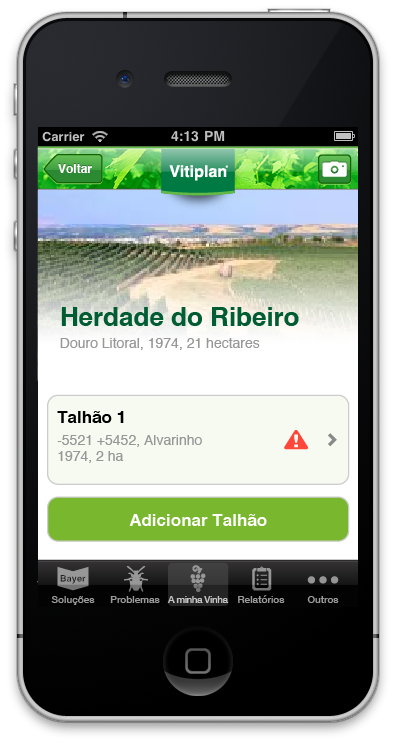 Based on the information entered by the grower, the Vitiplan allows customization as his vineyard : their properties , their plots will form the basis of work Vitiplan : Your Vineyard will be in the Palm of Your Hand ! 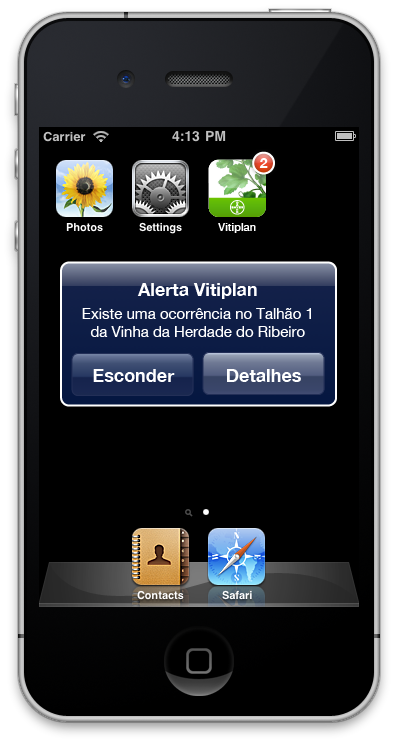 Vitiplan will produce reports and issue alerts situation of “no treatment”. 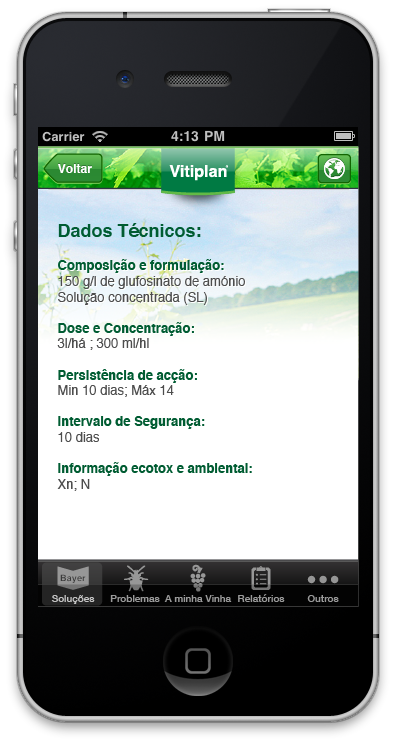 Watch a demo of the app online at Bayer’s website. 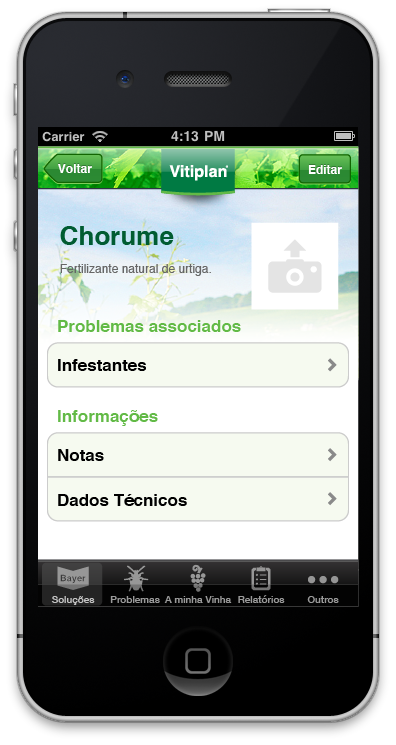 Download the free app from the Apple iTunes App Store. 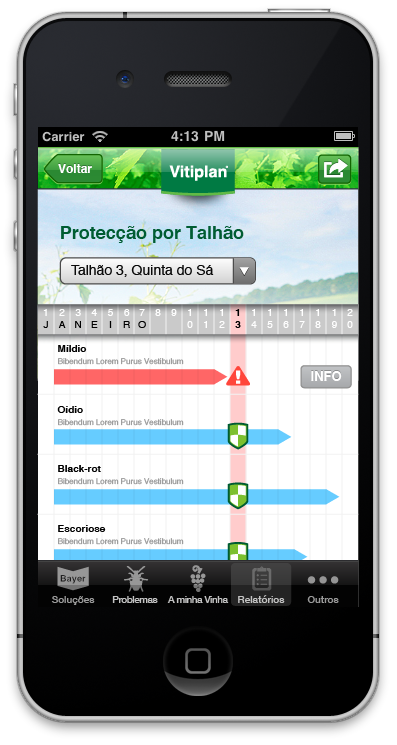 The planning section of the app is one of it’s most popular functions allowing the farmer to set up warnings and plan it’s work in the vineyard.